Located across from the Sarasota Bayfront and Marina Jack's, Tessera is one of downtown Sarasota's most luxurious and desirable condominiums. The views are simply spectacular. Residents enjoy walking in a beautiful neighborhood, shopping on Palm Avenue and attending movies at the Burns Court Cinema. Dozens of restaurants and entertainment options are all within walking distance. Built in 2000, the 24 residences of this beautiful high-rise tower were constructed with the beautiful waterfront views in mind. 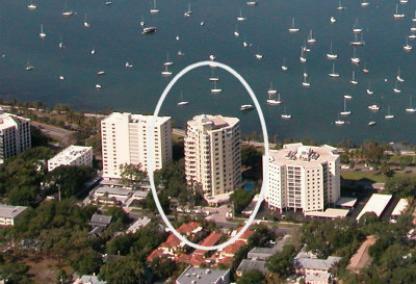 Sweeping wraparound terraces afford residents with views of waterfront activity and stunning sunsets. There are only two residences per floor with ample square footage. The open floor plans include 3 to 5 bedrooms and 10 foot ceilings. Take a short stroll to enjoy Marina Jack’s, Selby Gardens, or Island Park. Downtown shopping, professional services, art galleries, antique shops and the Selby Library are nearby as well.